This memoir relies on the many volumes of notes, observations, conversations, odd phrases and sudden ideas written during episodes of illness and transcribed here unedited. It also relies on memory, which is commonly subjective and fragile, and on the notes of treating clinicians. The events took place over a period of about fifteen years. In the interests of telling a story, time is on occasion expanded and on occasion compressed. And thus we climb into Kate Richard’s life and it’s not a good place to be. She is a qualified doctor, but years of mental illness have made this career path untenable for her. There is this chaotic, obsessive, hyper-sensitive existence inside her head that somehow co-exists falteringly with the semblance of a ‘normal’ life: a job in medical research, friends, parents, a flat. She makes us privy to the people who live inside her head: something that she deliberately does not share with the psychiatrists and therapists she comes into contact with. The voices she hears are ugly: garrotte garrotte garrotte the world will spin you into obsidian oblivion keep the fires burning watch yourself muddy red. We watch her resist taking medication, make mistakes, treat people (including herself) badly. It is relentless. There is no escape for her, or you as reader, from the suffocating presence of her head. The text is broken up in places by pages of her handwriting from her journal. She is a true writer, with an eye that captures the essence of things, but it is a gift that can be turned against her as well. At times of illness, her words trigger clang associations that are not poetic, but just chaotic. Language breaks down. Her critique of the psychiatric and medical system is devastating. Psychiatrists are too quick to prescribe; after an episode of self-harm, a doctor in a hospital refuses to treat her and she is vulnerable to the whims of the system. But she has a good GP, Jenny, and when she finds her psychologist, Winsome, it is like a haven of calm. 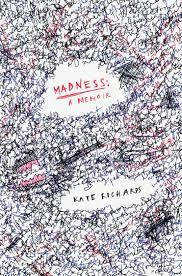 Winsome tells her that her mental illness is a sickness that she will need to treat with medication day in and day out, for the rest of her life and finally, finally, Kate herself reaches the same conclusion. As a reader, you start to hope, with her, that perhaps this spiral of medication and madness might finally slow down. This is such a brave book. It is simply written, but it is hard to read. Christine from Freud in Oceania has written an excellent review. 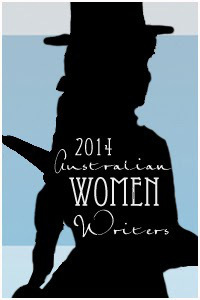 I have added this to my reviews on the Australian Women Writers Challenge website.